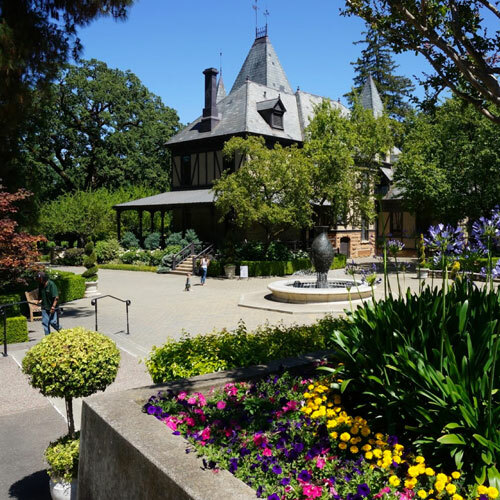 Local Wally's guide to Napa's BEST picnic spots and wineries, coupons, discounts, 2 for 1 wine tasting. There is nothing more romantic, more quintessential Napa, than the thought of tossing down a blanket in the vineyards and having a picnic. But the reality is going to hit you like a Two Buck Chuck headache when you get shooed away before that champagne cork even hits the ground. That's because most Napa wineries don't have permits to legally allow picnics. But don't give up. 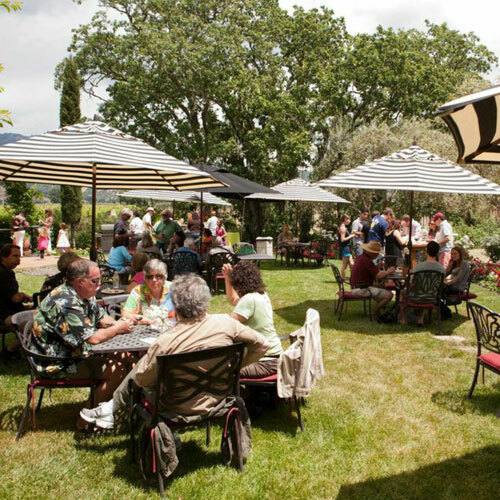 There are still some wineries in Napa that do allow picnics and the best ones are here in this guide, some as popular and as crowded as Woodstock and others tucked away and off the beaten path. Most make you buy a bottle so pay attention to their prices so you don't end up opening a $100 bottle to go with your Cheez-its. Remember to grab that spare blanket and a bag of ice from the hotel! Looking for Two for One Wineries? Click to Get a Local Wally Approved Wine Pass and Never Pay Full Price For Wine Tasting Again! TIP: Contact the winery before you lay down your picnic blanket as rules and regulations change without notice. If you find a winery on my list that no longer allows picnics please let me know and I'll update it. Open to public M-Thurs, first come, first served. Fri-Sun, Wine Club Members only. Whites from $40, reds from $90. Take the drive to the top of the mountain for spectacular views. Merlots and Cabs only, $65 to $75. Reservations required. Small family winery that produces small batches of reds, priced from around $75 on up. Reservations required. Buy a bottle and get access to their members garden. Whites and award winning reds from $35. Resv. req. First come, first served picnic area. Beautiful winery, wines start in the $30 range, both whites and reds. Onsite restaurant & deli, bring your blanket and start your picnic. Whites from $25, reds from $45. No resv. req. Far off the beaten path with a great picnic area, recently sold so check back again for more info. Called "most romantic" by some, limited but popular picnic area, resv. required. Whites & reds from $25. 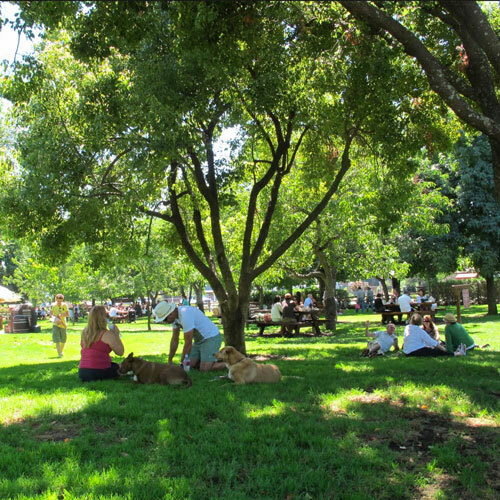 Sit near the vines under a shady tree, a near perfect picnic spot. Whites start around $30, reds from $35. 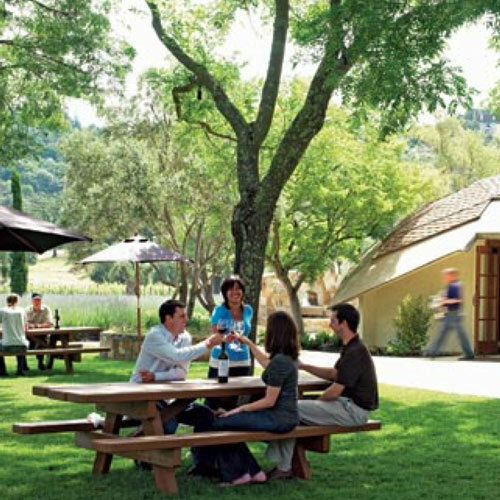 Sure, picnics are awesome but so is maximizing your wine time in Napa. The problem with picnics is that they often turn into naps on the blankie which turns into wine time you'll never get back. Avoid this rookie mistake by going to wineries who bring in lunch. 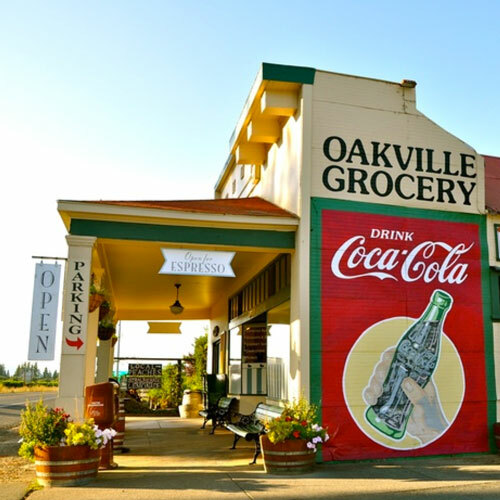 Use your Priority Wine Pass and get special lunch deals at Auburn James (sandwiches from Dean & Deluca), Durant & Booth (new addition to Oakville Grocery), and V Sattui (full deli and two for one tastings with pass). No Wine Pass? Are you crazy? Get yours here for $39.99 per couple to get these lunch deals! Why in the world would you want to pay full price for tastings when you can get half off? Save on average $100 per day! First come, first served for picnics on the lawn. Bottle purchase required for table use. Red and whites, starting around $25. Tables & bocce ball, first come, first served. Funky friendly winery, must love dogs. Reds from mid-$50 range. Calistoga area. Family run winery on the Silverado Trail, unpretentious and friendly with plenty of wine choices, whites starting in the $20's. Picnic tables, first come, first served. Nice grounds, away from crowds, reds and whites start around $35. 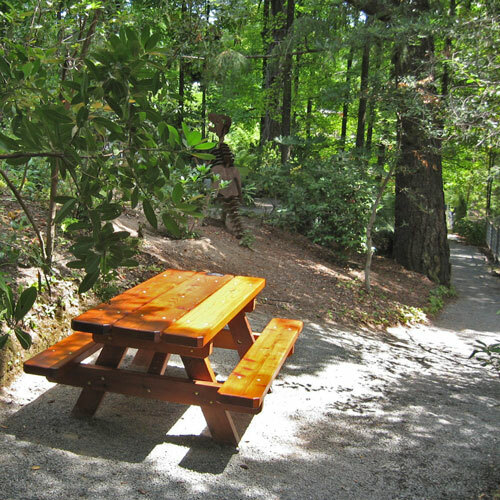 Popular shaded picnic area behind the historic winery. Reds only, $20 to average of $50 per bottle. Napa Cellars / Folie a Duex, wonderful picnic area with reasonably priced bottles. Wine Pass discount. First come, first served picnic tables. No purchase required though you can white and reds from $30. Beautiful hidden picnic area in wooded gardens, top pick. Reds and whites from around $35. First come, first served. Often called best picnic area due to views of the valley. Make reservations, red & white wines start from $30. Walk in's welcome, picnic area is first come, first served. Whites and reds start around $30. St. Helena area. No outside food, get everything you need onsite. Busy and popular, whites start around $25, reds $35. Coming with a large group? Andretti is your place for a catered picnic. Call them for info. Napa on a Budget? 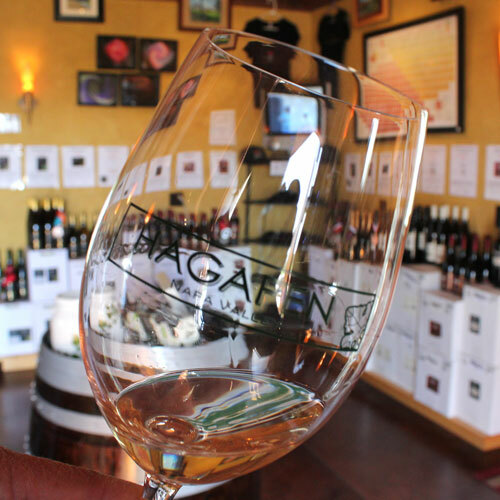 Get 2 for 1 tastings at over 75 wineries in Napa and Sonoma. $39.99, one pass per couple. My hands down favorite tour compnay, if you want to just get in the shuttle and go taste wine this is the one to book!